Este documento (PDF) proporciona instrucciones paso a paso para un flujo de impresión-luego-corte con la cortadora CAMM-1 GR usando el Complemento CutStudio para Adobe Illustrator. Will R-Wear work with my GX-24? Why do I need to "UNSETUP" after each cut job finishes? I have to "unsetup" after each cut job otherwise the cut job will begin in the middle of the media when using VersaWorks Dual and CutStudio. ​I loaded cutstudio on my computer and i get an error _cstmp_.tmp has a bad format when sending a job. ​Crop marks cannot be read. This video will show you how to install the GS-24 drivers, OnSupport and CutStudio software. I own a GS-24 and need a copy of CutStudio. ​Can the cutter driver in RPS be used for cut only files like red vinyl? 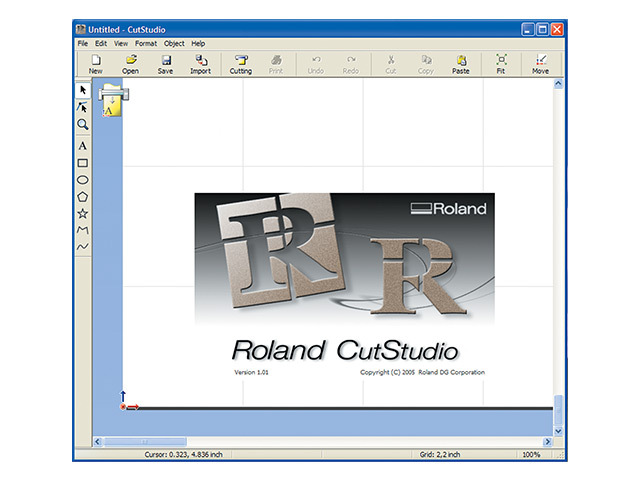 Example, can a user send an EPS graphic with vector lines directly to GX cutter using Rolandprintstudio? Can CutStudio import a .CDR file? What file types does CutStudio use? Is there software included with the GX-24? What resolution does CutStudio work in?